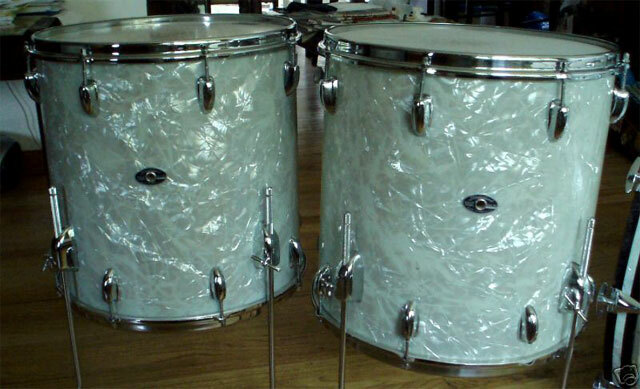 Very clean set, beautiful wrap apart from a little cigarette burn on the bassdrum. 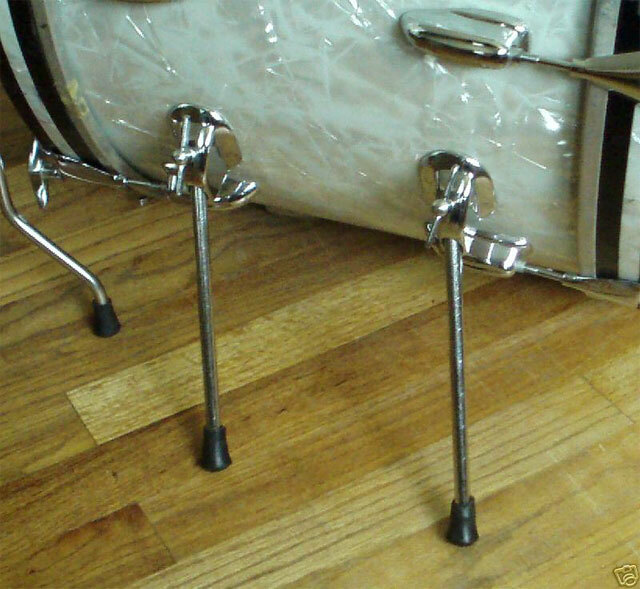 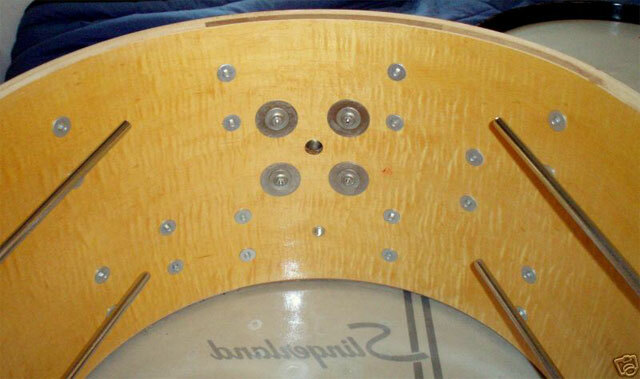 All original, double cymbalholders, setomatic single tomholder, two 16 inch floortoms. 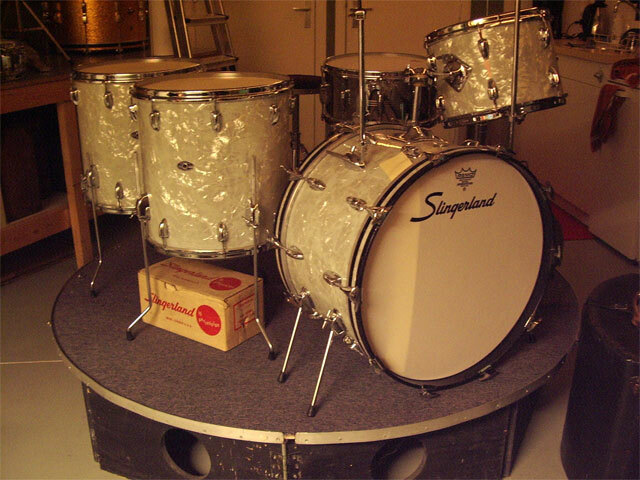 Snaredrum not included.